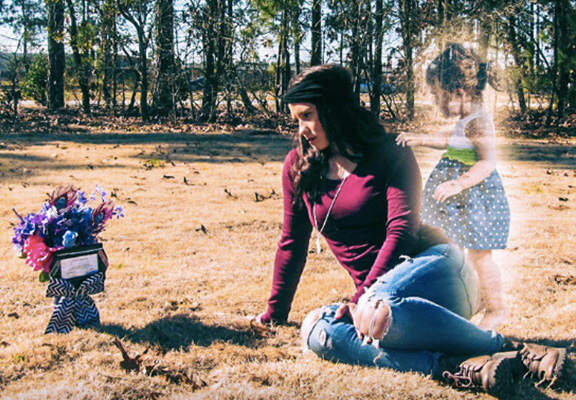 A grieving mother has been charged with the murder of he daughter, only days after having a series of photos taken where a ghostly image of the 2-year-old was photoshopped in. Jeanie Ditty, 23, from North Carolina and her boyfriend Zachary Earl Keefer, 32, have both been charged for first degree murder and negligent child abuse for inflicting serious bodily harm on Macy Grace and could even now face the death sentence. I regret that I’m attached to a situation that is so evil, and is so vile. She seemed like a grieving mother. She seemed empty. No emotion. Not overly dramatic, and not happy. 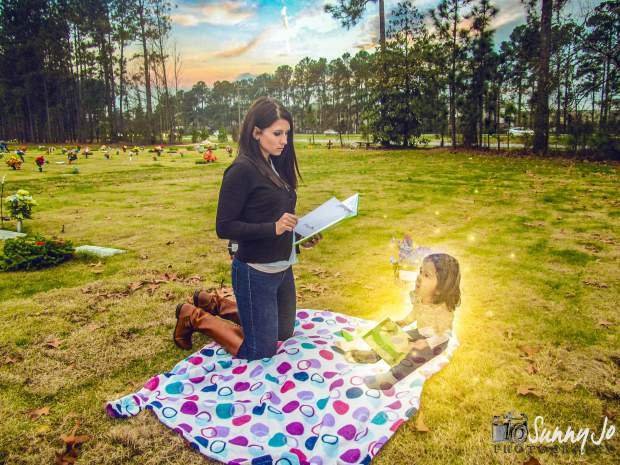 Each of the photos show the mum in a cemetery with an angelical figure of her daughter next to her, after Sunny Jo agreed to add in these photos of the little girl digitally. Police said Macy Grace had arrived at the hospital in December with bruises all over her body, which were consistent with child abuse. She died within days. 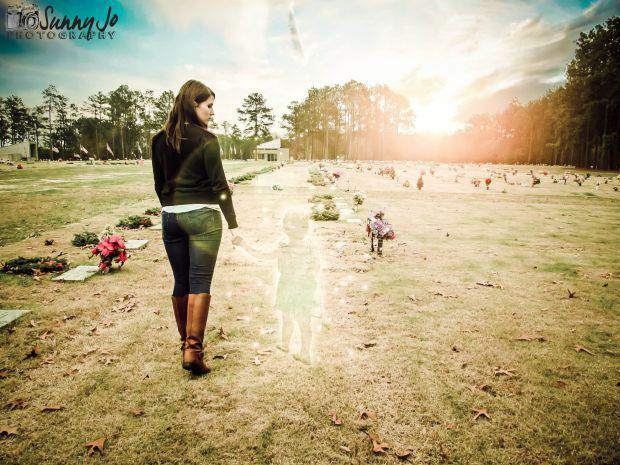 Only a month later Ditty approached Sunny Jo, telling him a very different story. She claimed that her daughter had actually died after choking on a banana. Police arrested Ditty last week, after investigators concluded the girl’s death was a homicide. Although the court case has not yet started, many are suggesting that she may have used the photos to act as cover up to try and look more upset than she actually was.